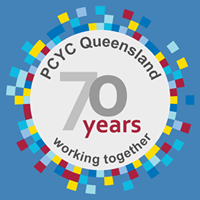 PCYC works in partnership with the Queensland Police Service, all levels of Government, Businesses, Young People and the Community to provide appropriate, affordable and accessible programs and activities for young people, families and adults. PCYC offers a wide range of programs and activities to their communities. PCYC Roma currently has a range of activities and programs happening for the community to participate in; Netball, Boxing, Fitness Classes, Gym, Basketball, Volleyball. Pop down and see us for a program and pricing.